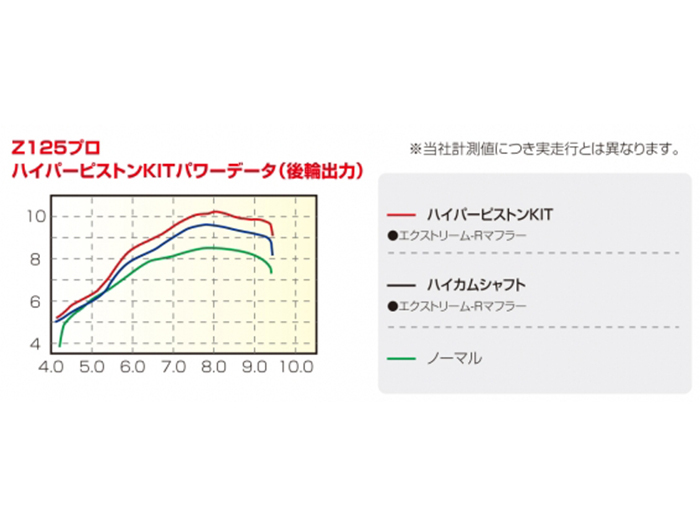 Kitaco high compression 125cc Hyper kit combines their 12.1:1 high compression piston with their high lift decomp ready camshaft for a matching kit and fantastic performance increase for stock displacement classes. Simply swap over your decomp mechanism from the sotck camshaft to the Kitaco unit to retain full decomp ability. Can be used with stock fuel controller, but can benefit from programmable control.